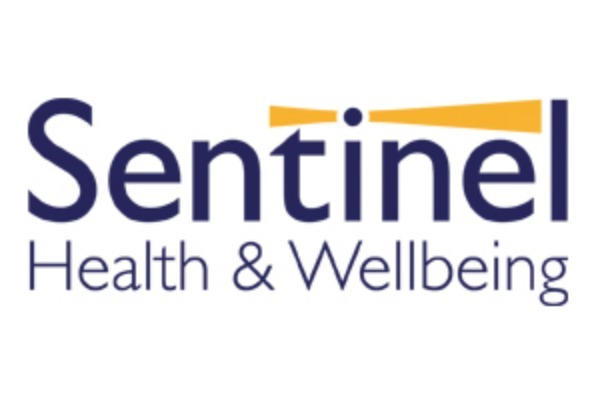 Sentinel Healthcare South West Community interest Company (CiC) is owned by shareholders of General Practitioners and Practice Managers in Plymouth, West Devon & South Hams. As a CiC it has one mission which is: ‘To provide a proactive and innovative leadership role, in the planning and delivery of first class health and social care for the community’ and Sentinel provides Assessment & Treatment services for patients in Plymouth, South East Cornwall and South Hams & West Devon and offers patients fast and efficient services for elective referrals. With all of these areas we aim to provide workable solutions to issues that are having a significant burden on NHS services as well as social care systems. We are focused on solutions that support Public Health initiatives that aim to keep people well and at home for as long as possible without the need to rely on the emotional crutches of the NHS and Social Services. Long Term Conditions (“LTC”) – We continue to develop and implement systems that will change the way we deliver healthcare. We have been appointed as the delivery partner for www.mymhealth.com and will implement the system across Cornwall, Devon and Somerset over the next couple of years. Diabetes - The benefits are far reaching. Plymouth for example is one of the highest areas in the UK for forced amputations because of diabetes. We are aiming to transform this and reduce the burden both in terms of demand and financial input and allow people to lead healthier and happier lives. With diabetes in particular the write up of the implementation programme report by the SWAHSN and UoP will have far reaching consequences as it is shared around the country. With the population living longer LTCs will continue to challenge the UK health economy and with a downturn in overseas recruitment as a result of Brexit these conditions will create a massive pressure in the system. Systems like Mymhealth will allow smaller teams of clinicians to manage more patients in safer and proactive environments freeing up much needed clinical time for other parts of the health economy. With diabetes care, the projects are being evaluated in a number of ways, we are working with the South West Academic Health Science Network and the University of Plymouth to quantify this and we will know the outcomes of these studies in 2018/2019. With Dementia care we will be able to accurately track, through clinical systems, the number of people referred by Royal Mail over any given period of time. With Mymhealth we will have patient identifiable data that will allow us to track and improve outcomes for patients so far approximately 30 apps (3,000 apps in total have been ordered) have been given out to patients and we wait to see the outcome of this. Sentinel will see somewhere in the region of almost 17,000 patients this year and numbers continue to grow. For our size of business this is a significant achievement and testament to the hard work put in by the teams. In addition we are now working across an area that covers Looe, Bodmin, Launceston and down to Salcombe. It is incredibly difficult for us to attach a numbers to outcomes because we only have data and outcomes for the time that patients are with us. We can tell you that in Friends and Family tests we consistently score 4.7+/5 for patient satisfaction. Next year’s submission will see some interesting data around the systems being implemented this year. Sentinel aims to collect feedback from every patient. We consistently score highly in Friends and Family tests because we have designed services that we would like to use and try to deliver caring patient focused care. Back pain - "Very impressed with the reception and with the way my appointment went. I was given the details of my likely problem and the course of action I needed to follow." Cardiology - "Everything was explained very clearly to me for the first time, all questions were answered clearly to me. I feel a lot better now all has been explained properly." Chronic Fatigue - "I found the experience good. It was a calm, peaceful one to one discussion. Dr is able to understand the illness and situations, patients concerns and difficulties. Very pleased to have a follow up appointment which is the first time. Delighted to see my daughter and grandson are able to ask for referrals. This stops us from feeling that we have not been dropped off the radar and promotes many many people feel they matter." Dermatology - "This is a far better experience to many I have had at the main hospital. Especially the parking. Much more like the treatment given year ago when I was involved in the NHS pt ctr. Well done." Ear, Nose & Throat - "Dr Harry did a great job today. I was suffering from an ear infection and for the first time I had a feeling that I am in good hands. Professional, kind, patient. Her help today was much appreciated." Musceloskeletal Services (Shoulders, hips, knees and Foot & Ankle) - "Very impressed by the Sentinel approach @ Mount Gould Care Centre - an efficient & effective process. Well above expectations with a challenged NHS, from the efficient appointment process (including changes) with helpful staff, through to a professional consultation & treatment process, my experience was very positive." Vasectomy - "A massive thanks to Mike & Beck as you can imagine, a bit of a delicate time, but they handed everything with care, sensitivity & good humour. You made the experience, if not entirely pleasant, easy and comfortable. Thank you very much!" Sentinel is owned and operated by the GPs in Plymouth, West Devon and South Hams, it works tirelessly to find new and innovative solutions to problems and issues that arise in primary care. For the last three years it has helped 56 practice sites deliver enhanced care to a variety of patients particularly in the fields of Atrial Fibrillation and Osteo Arthritis. Without this work we would not have improved the lives and care of over 3224 OA patients, which included an extra 922 patients having Dexa scans resulting in savings in excess of £571,830 for the local healthcare economy. This work alone has potentially prevented 100 hip fractures that could of otherwise have resulted in unnecessary care and suffering for patients. It is not funded by the NHS and we have had to find new and innovative methods of funding that are safe and acceptable to everyone to ensure the highest levels of patient care. We quantify our involvement in these projects in terms of hours spent and these additional projects have seen an input from Sentinel aligned to 265 hours resulting in an input of £13,250 additional investment. Corporate Social Responsibility (CSR): Sentinel provides the opportunity to take part in at least one day of CSR per year and be engaged with projects for the benefit of the local community. Energy and Carbon: Sentinel utilises the most up to date estates we can procure and they all comply with current building regulations including BREEAM and emissions targets. Travel: Sentinel sites are all accessible by public transport and staff are encouraged to consider the environment when planning trips and includes measures such as tele-conferencing. Engagement and education: Sentinel ensures that all staff are aware of efforts to help reduce our carbon footprint including recycling. Waste management: Sentinel follows the waste hierarchy to Reduce, Reuse, Recycle and Recover where practically possible, including simple items such as recycling waste toner cartridges and complying with WEEE directives when disposing of electrical items. To this end Sentinel has supported charitable giving and CSR to the value of £2,157 despite that fact that we made a significant loss. We also ensured that unnecessary travel is minimised and that public transport is used when necessary.